﻿ SEO Hosting - Dedicated Server Packages Starting at $149! Chat with one of our experts to help choose the right solution for your business. Built to support basic sites and applications, our Lite Plan is suitable for new projects and built to grow with you. The Standard Plan is ideal for companies needing a full redundant and scalable server infrastructure. Created with web developers and IT Solution agencies in mind, the Pro Plan offers unparalleled performance. SEO Hosting is a type of web hosting that improves the Search Engine Optimization (SEO) of a website—with the purpose of increasing the searchability of the site, thus generating more sales. To do this, an SEO Hosting provider will host a client’s websites on unique C-blocks of IP addresses. This allows multiple websites run by the same webmaster(s) to interlink while being ranked independently by search engines. 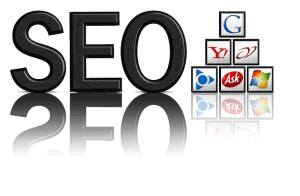 Therefore, SEO Hosting is much more beneficial to entities with a few or many websites. What Are the Benefits of SEO Hosting? Being hosted on different C-Blocks is the fundamental definition of SEO Hosting, but that’s not all it can offer. Search engines, like Google, rank websites via their IP address’s geographical location. The more relevant the geographical location of your IP address is to the content on your site, the higher the website will rank in the Search Engine Results Page (SERP), or the first 10 or so websites the search engine pulls up. Since we can host your websites on multiple IPs in different locations, your websites can benefit from international search—if setup correctly. Much in the same manner as International SEO, Local SEO is great for websites with local IP addresses to rank higher on local SERPs. Hosting your website in the traditional manner can make you seem guilty by association. If another website on the same C-Block has done some unsavory things, then the whole C-Block can be penalized by search engines. This causes all the websites on that C-Block to be unnecessarily punished for the actions of one website. Since your website will be hosted on unique C-Blocks with SEO Hosting, then there’s no worry about being at the wrong place at the wrong time. Colocation America has been an industry leader in hosting for over a decade, and we offer customized SEO Hosting to help meet your marketing goals. What sets our SEO plans apart from other provides is that we offer the benefits of hosting your sites on multiple C-class IP addresses in addition to our quality assurances, reliable network infrastructure and fast data transfer. Optimizing your hosting setup to improve your search rankings requires unique IPs, maximum uptime and quick load times. Whether you have a large network of sites or want to maximize the search rankings on a given server, Colocation America is built to be the best SEO hosting provider. Rest easy—working with the trusted network engineers at Colocation America ensures your site is in good hands. 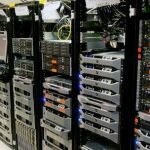 Before you launch on a standard hosting plan, consider the vast upside provided by working with a top provider such as Colocation America. Not only are our hosting plans more affordable than you might imagine, but the search ranking benefits will deliver an impressive return on your investment over time. Why Is Hosting Your Websites on Different C-Blocks Beneficial? On a typical web server a website is given an IP address that looks like this 192.168.1.0. If you own multiple websites and would like to link between them, search engines will recognize that they are hosted on the same C-Block and therefore only the first link will be ranked. If those websites are hosted on different C-Blocks, then all the links will be ranked independently will be much easier to search for. When you decide on hosting with Class C IP Address, you are guaranteed that you would be provided data centers that may be found in different sections around the globe thereby allowing you to have multiple Class C IP Addresses. How Can I Improve My Search Engine Rankings? 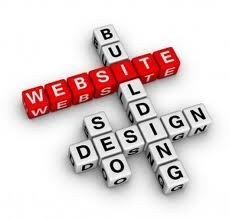 At the end of the day, the best way to do SEO and gain search engine rankings is to simply create a good website. Provide high quality and unique content that people want to read or use. Properly organize the website by applying proper meta-data. Offer a variety of content including images and video. These basic factors will bring a website to the top of search engine pages but do require hard work and dedication. 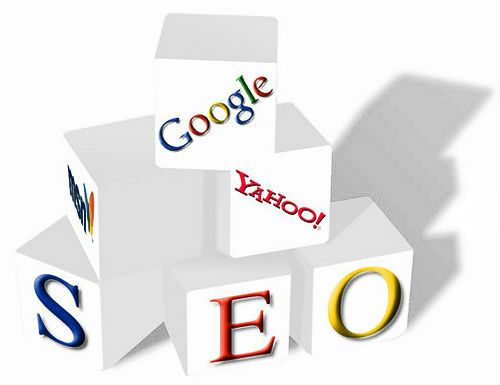 SEO hosting is a great way to raise your search engine rankings while significantly easing up the workload on yourself. Colocation America offers top quality SEO services that will bring results using honest and effective methods, without any of the risky shortcuts.